Bangkok is one of the most visited cities in Asia and for most people their first stop on a trip through Asia or Thailand. Not a backpacker looking for the cheapest dorm? 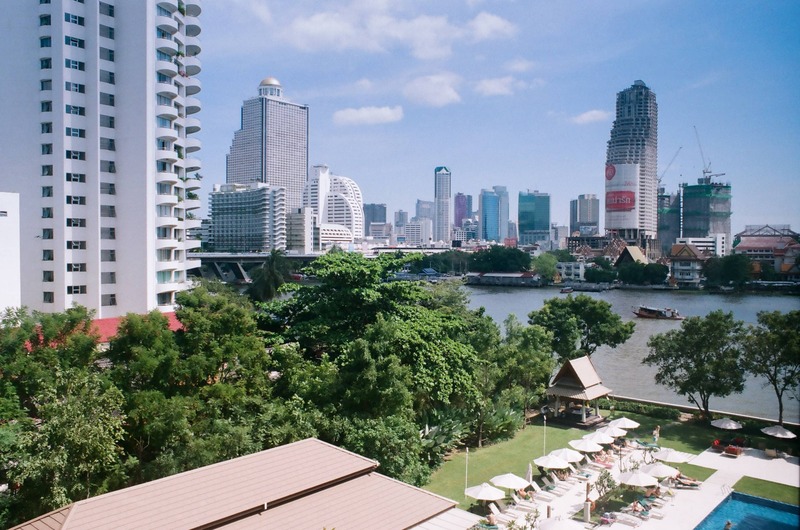 Looking for a nice place to stay with a swimming pool along Bangkok’s riverside, but not willing to splurge either? This place might just be what you are looking for. My room had this view. 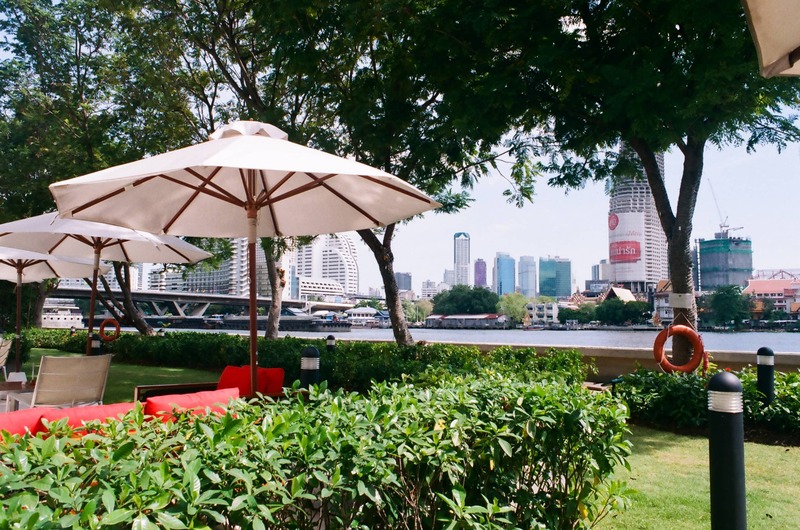 The Ibis Hotel located on the riverside has fairly basic rooms (who spends too time in the room anyway), however it has a wonderful garden with a large swimming pool located along the Bangkok riverside. The hotel is located within walking distance from the Krung Thon Buri BTS (Skytrain) station, and only one stop away from Saphan Tak Sin from where taxi boats and river tours depart. Moreover there are some restaurants and a small shopping mall located just around the corner. I really enjoyed my stay here, and I believe $40 a night for a hotel with a decent swimming pool on this location is hard to beat. Yes, all that for about $40 a night per double room. Visited November 2013. Review based on my own experience. I did not get any commission from this hotel.